Suffolk's street light project - doing things differently can be good sometimes. Recently after midnight it has become very dark down my street. This is because Suffolk County Council have turned off the street lights to save money. The lights actually turn back on at 5.30am. The system doesn't depend on a crude time switch but a s "intelligent" remote control system enabling the Council to change the times the lights go off for example at Christmas and New Year as well as letting the street lights report them selves as faulty. Some lights can be dimmed or continue to be left on all night and this can be reprogrammed centrally. By 2025, Suffolk aims to achieve a 60% reduction in CO2. Introducing the system has the potential to deliver significant street lighting energy savings and a CO2 reduction by April 2013. Implementing the system will also save the council at least £550,000 per year in energy costs. I pay hundreds of pounds a year in council tax and the Labour council and socialist bureaucrats can't even deliver the basics. It's as if we live in the third world. In fact, that is what the green zealots at the council want as I can reveal the bureaucrats at Ipswich Borough Council tonight told councillors in a closed meeting that the reasons for switching the street lights off at midnight is nothing to do with saving money but instead to meet central government Co2 reduction targets to stop non-existent anthropogenic global warming. 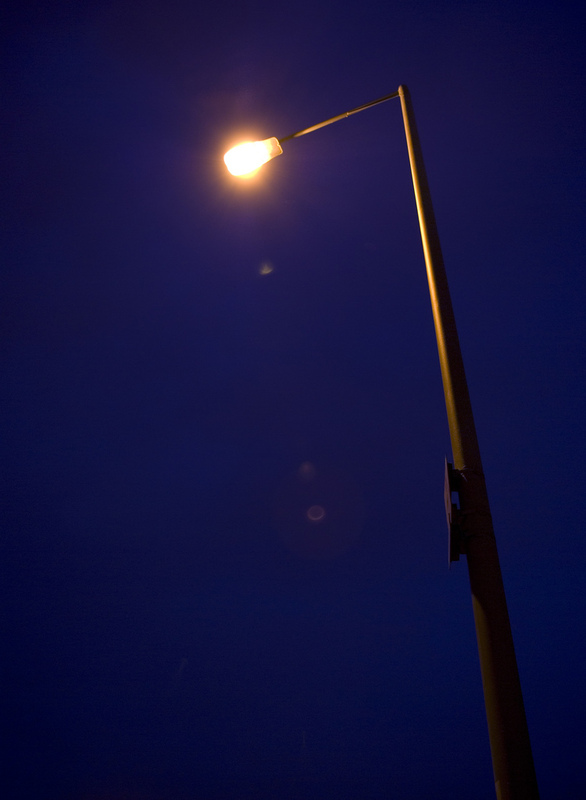 In actual fact the street light scheme has been introduced by the Conservative dominated County Council and the Labour Ipswich Borough council were just buying into the service the County are offering for the relatively small number of street lights they control. 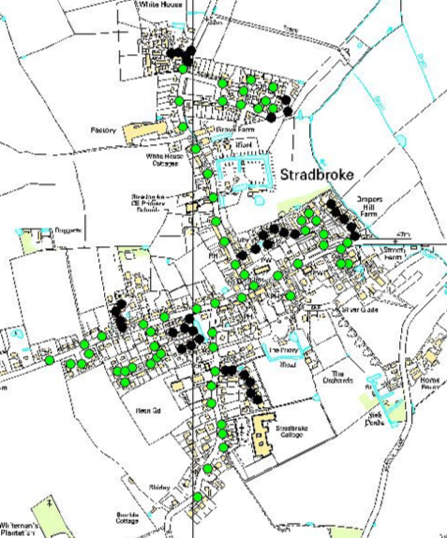 In Stradbroke most of the street lights are shown as Green as they are owned by the Parish Council rather than the County Council. I happen to live in one of the areas with lights shown in Black where the lights will go off. The Parish Council have been discussing what we should do about the light we control. The electricity bill has gone up considerably but we would have to pay to install the control equipment and like everywhere there is a debate about what we should do. But it is clear some people really do not like the change and there is even a Facebook Page asking the Council to turn the lights back on - although it only has 12 members! More interestingly a Poll on the Ipswich website Ipswich 24 showed split views with 47% opposed, 31% wanting them dimmed and 22% wanting them turned off. 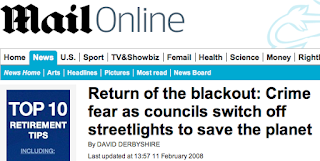 Part of the concern appears to be fears that turning off street lights will increase crime as the headlines below from the Daily Mail show. 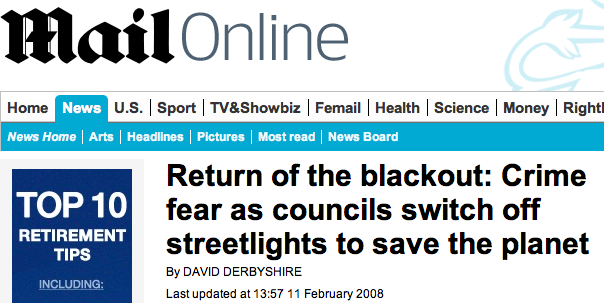 Now the Daily Mail isn't exactly known for its objective and evidence driven approach and just takes it as obvious that street lights reduce crime. However academic researchers are far from sure this is the case. It may not be too fanciful to make comparisons with our medieval ancestors' measures against witchcraft - tokens hung over the door and so forth," he said. "We know the 'witches' are out there, and we turn to deterrents which we think will scare them off. But we do not know. We do not have the evidence. But "light pollution" is also an issue making it difficult to see the sky and stars and even for people to sleep properly. One of the things I really like about living in the countryside is being able to see the stars at night and with the lights turned off you can really see them! So personally I think this is a good idea and that the County Council should be applauded for introducing an innovative system. Will we do it in Stradbroke? Not sure yet but if we don't there will almost certainly need to be an increase in Council Tax in 2013. Sometimes "doing things differently" can be a good thing!